The Highbury suburb in Kuils River consist of 3 areas - Highbury Park, Stellendale and Highbury area. It has a fairly diverse property offering which includes townhouses priced from about R700 000 in Highbury Park and Stellendale security village to beautifully renovated houses in Highbury area for R1,85 million. There are 2901 full title erven (plots) and 95 sectional title residential units (in 5 apartment blocks) in Highbury as a whole. Highbury Owner Profile / Demographics. The average household income range in Highbury suburb is according to Lightstone in Highbury Park (R17 000 - R25 000), Stellendale (R17 000 - R25 000) and in Highbury area between R35 000 to R45 000. There are 1 016 adults living in Stellendale, 1 817 in Highbury Park and 4 672 in Highbury area. The period or tenure of ownership, which is a measure of ownership stability, shows that the existing owners who have been owning for 11 or more years are in respectively Highbury Park 52%, in Stellendale 16% - because it is a new development and 64% in Highbury area. The age profile of the stable owners in Highbury suburb is fairly diverse and varies quite dramatically between the 3 areas - with owners older than 50 years making out 61% of the Highbury area but only 23% of Highbury Park and 34% of Stellendale. The middle age group (36 - 49 years old) of the stable owners makes out 45% of Stellendale owners, 61% of Highbury Park owners and 32% of the Highbury area owners. Highbury area: 0% (65 & older), 9% (50-64 years), 42% (36-49) and 48% between 18 and 35. The above clearly shows that Stellendale and Highbury Park are very popular areas for first time buyers and young families. Highbury Park - there are no properties in secure estates. There are 933 own title or freehold houses and 11 sectional title units (apartments) which are located between the Stellenbosch Arterial (M12), New Nooiensfontein Drive, Muir Road and Falstaff Street. Stellendale - all properties are in the secure estate of which 426 are freehold houses and 84 sectional title units are located between Belmar Road, Bishopscourt Crescent, Silvermine Crescent and Newlands Crescent. 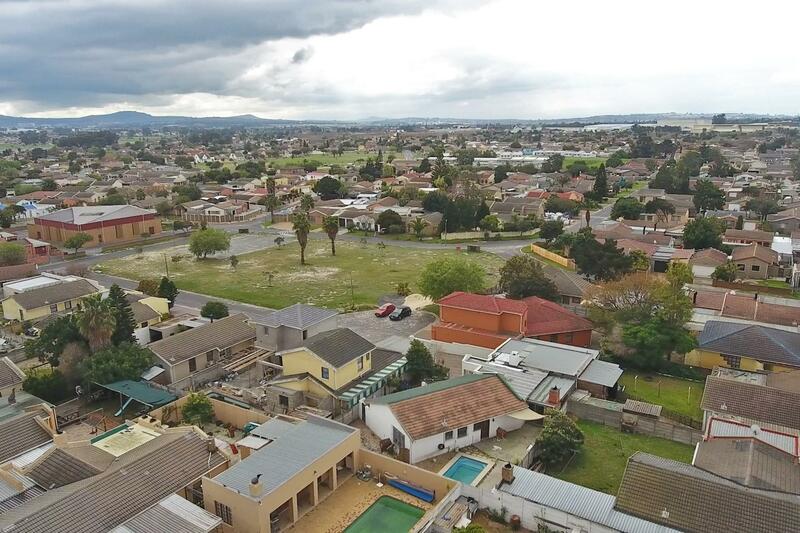 Highbury area - there are 1 395 own title or freehold houses and 68 sectional title units (apartments) as well as 84 own title properties (homes) in secure estates which is located between the Kuils river, the Western Cape Sport School, Amethyst Road and Hattford Street. Highbury an established suburb which has long reached maturity - with only 66 vacant land sales transactions taking place during the last 10 years in both Highbury Park and Highbury area - and only 4 in the last 2 years. There has only been 1 plot sold in Stellendale since 2013. 122 Houses and apartments were sold (registered) in Highbury suburb during the last 12 months (November 2017 to October 2018) - of which 33 transfers took place in the last 3 months. No plots (vacant land) has been sold in the last 12 months and there have been 8 sales in execution during 2017 and 3 for the year up to October 2018. The 102 property sales in Highbury during 2018 constitutes a drop of about 9,7% per month relative to the 136 property sales (at 11,3 per month) achieved during 2017. The 2018 Highbury suburb sales consisted of 7 apartments, 94 houses and 1 development land sale. This relays to about 10,1 properties sold on average per month or 121 properties on an annual basis. Between 2011 and 2017, an average of 14 properties per month or 170 properties per year sold in the Highbury suburb. There has a positive sales volume growth pattern since 2009 in Stellendale and Highbury Park areas when total sales were respectively 22 (Stellendale) and 45 (Highbury Park) properties sold for the year (about 1,8 and 3,75 per month) - whilst the Highbury area (within Highbury suburb) is experiencing with 2,8 property sales per month in 2018 a 59% drop in sales volumes in comparison to 2016 when 82 properties sold in the year at 6,8 properties per month. Stellendale: average house price was R732 000. 34 Houses sold for average price of R708 000 and only 6 sold for more than R800 000 at an average price of R872 000. The 3 top prices achieved in Stellendale were 23 Rondebosch for R890 000, 35 Newlands Crescent for R890 000 and 46 Bishopscourt Crescent for R950 000. Highbury Park: average house price was R726 000. 35 Houses sold for average price of R695 000 and only 8 sold for more than R800 000 at an average price of R899 000. The 3 top prices achieved in Highbury Park were 3 Canterbury Road (R850 000), 5 Chester Street (R750 000) and 6 Fir Close R730 000. Highbury area: average house price was R724 000 (3 property sales outside a residential estate) and R1,099 million (29 property sales inside an estate). Inside estates - 26 houses sold for average price of R1,1 million and below and only 3 sold for more than R 1 500 000 at an average price of R1,625 million. The 3 top prices achieved was R1,65 million for 11 Okkie van Sensie Street, 8 Jejane Street for R1,649 million and 27 Bellhome Street for R1,575 million. For more information about the available properties within Highbury suburb in Kuilsrivier, please follow the link to our website or contact our local specialist estate agents at our CCH office at 74 Van Riebeek Road in Kuils River (021 903 3217) or via kuilsriver@cch.co.za .